Much depends upon the approach to a place. 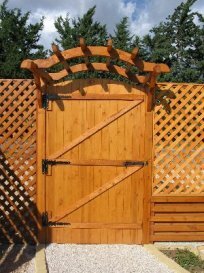 This is especially true of a garden gate. 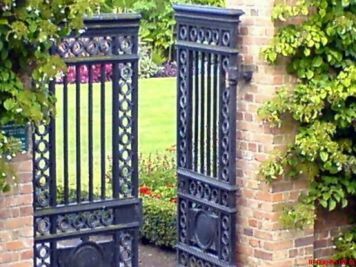 If one has a Colonial house there is nothing that will add to its grace than Colonial gateposts with a stately old wooden fence and a garden richly blooming in season with old-fashioned flowers. A pleasant entrance that rouses the interest and expresses the individuality of your home and grounds leaves a lasting impression. 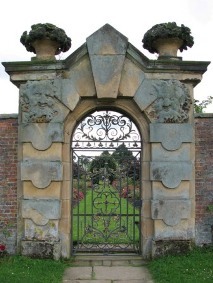 For most of us a garden gate holds a suggestion of sentiment because it is in its own way a symbol. It leads out to a greater space or inward to a promise of the peaceful and pleasant. 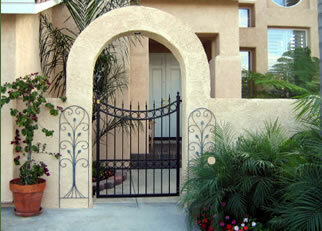 Impossing, gracefull, or charming - garden gates will add security and peacefullness..